When I moved to New York I had very slight knowledge of the city. I thought it would all look like Midtown; I knew hipsters lived in Brooklyn; and I had some concept that in the ‘80s, artists were pervasive in Soho. What I did not expect to find was the Upper West Side. Treeless, tall, unforgiving, I thought. 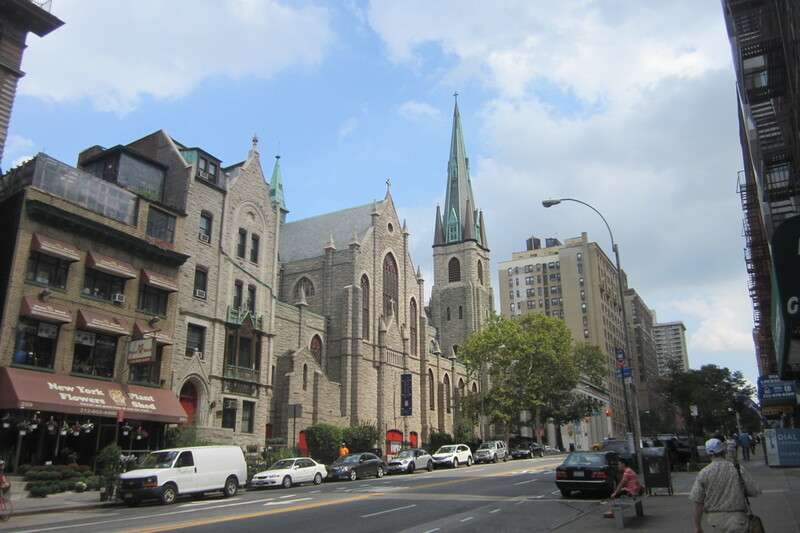 But here on the Upper West Side the manses and sunny lanes evoke something more home-like, small children and their families bus about, and in places the architecture takes on a timeless feel like the capital cities of Europe. Guttural, archetypal, comforting, this place I did not expect. With rain and sun alike wrestling for control of the skies, we excursed along Columbus Avenue between 96th and 66th, deep into the heart of the neighborhood. Our first stop on the walk south was an establishment so unique it boasts its own cookbook. Many cafes and restaurants will serve “original food,” usually by slapping on beets or artichokes to an otherwise run-of-the-mill sandwich or salad. At Momofuku Milk Bar, the pastries and cold treats come in flavors that simply don’t exist anywhere else. The frozen yogurt can be ordered in candy bar or cereal milk flavors that are suspiciously on-point. Their fare includes the compost cookie (all ingredients. potato chips? sure, why not! ), a sandwich with pickle-flavored dough, and my drink of choice, the espresso cereal milk milkshake with a full shot of espresso brewed right in. 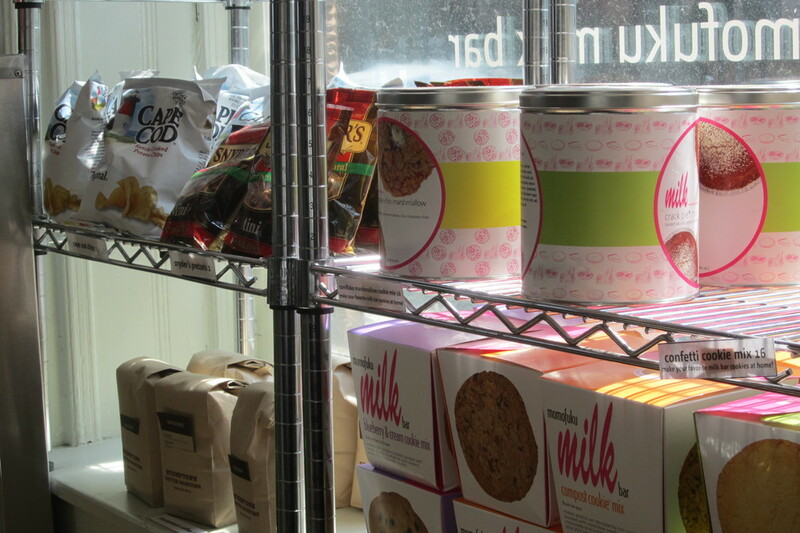 With eclectic decor like the life-size neon milk sign and rows of jarred mixes for do-it-yourself crack pie, the milk bar is a fixture of the neighborhood and a must-see. A few storefronts later, we stumbled upon Unique Boutique, a quaint thrift store that brought back childhood memories of trailing mothers, aunts and grandmothers through Midwestern antique trinket markets. 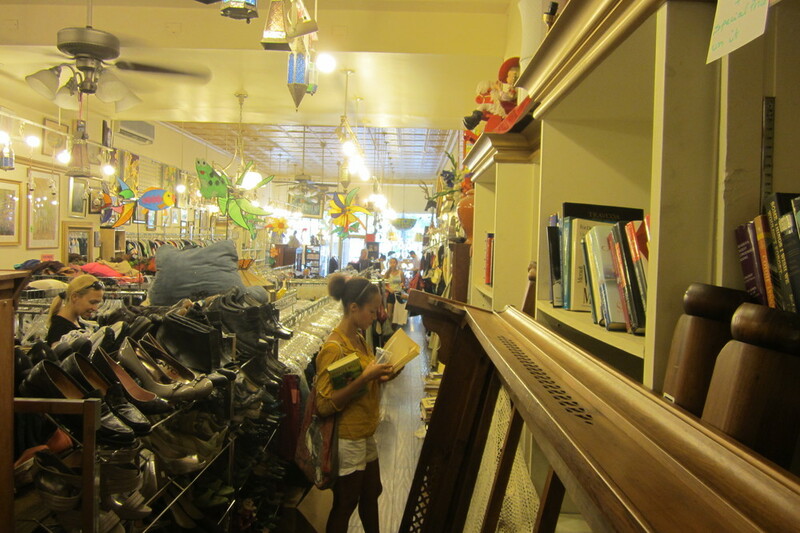 Often disappointed as an adult by the lack of charm that many city thrift shops have, the surprising warmth of Unique Boutique had us poking through used books, peeking around upturned bed frames and eyeing tasteful portraits. The highlight (yes, even for me) was the compact but surprisingly extensive used chinaware, and we came out with an unanticipated $8 tea set in hand-painted blue. 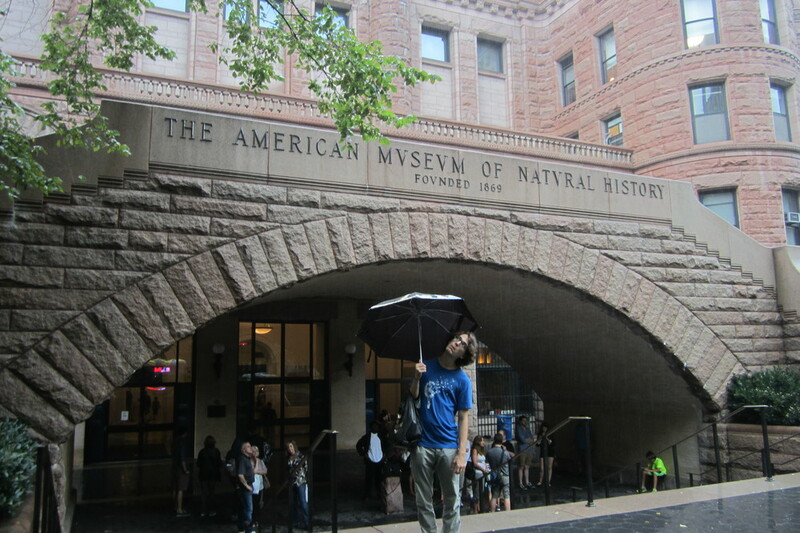 Another neighborhood pivot is the American Museum of Natural History, just as exciting as a career scientist as it was as a kid. Skilled at offering a reasonably low figure ($5) for the suggested donation ($22), we were inside and exploring in no time. Passing a set of purple posters celebrating the miniature, we found our way to the anthropology section and paid homage to the Tibetan culture installation. It’s rare to see an in-depth, continent-by-continent distillation of human culture at a science museum, and here the curators have done a fantastic job distilling the breadth of human diaspora. Having spent our college years talking Mayan, Middle Eastern and medical anthropology over good coffee, the installations swiftly awoke discussion and imagination. When we emerged, the weather decided it had had enough with inconsistency—it was supposed to rain all day, woe to he who ventured forth in that moment. We ventured forth. 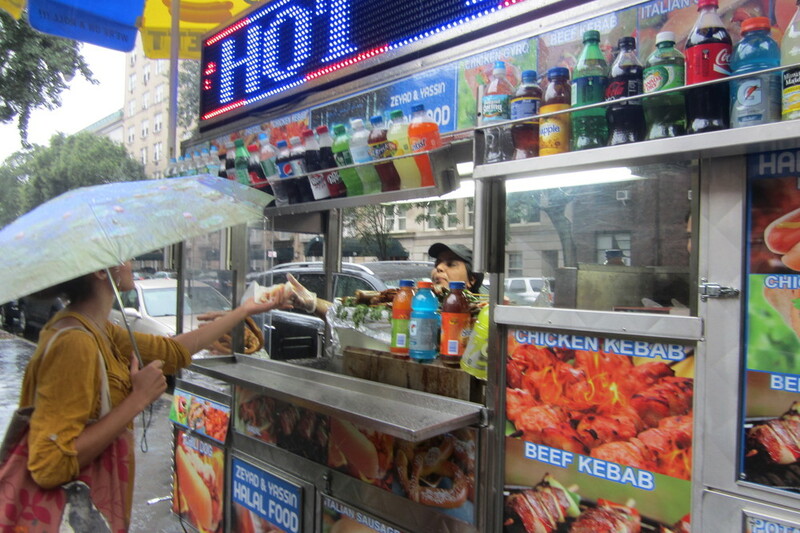 Hungry, wet, despairing but laughing, we bought food cart hot dogs, took photos, got soaked to the hips, and enjoyed the fury of the skies. In fifteen minutes the sun burst out brilliantly as if to apologize for the wet clothes and the rapidly dispersed flea market (our intended destination) and made up for a lack of rainbows with a sheer tidal force of brilliance only attainable in the glimmering minutes after a rainstorm. On and off the rain came, and we took refuge again in Paper Source, a colorful and spacious store dedicated to paper, paper products, paper-based projects and toys for children of parents shopping for paper. Colorful, inviting—and most importantly dry— we did our back-to-school shopping for notebooks, pens and ledgers. At the back of the store was a wall of stamps and ink pads showing birds, snowflakes and pumpkins; cars, planes and trees. Liking the spidery-ink aesthetic, we chose a shedding tree and sagely peacock feather for the cover of our notebooks. 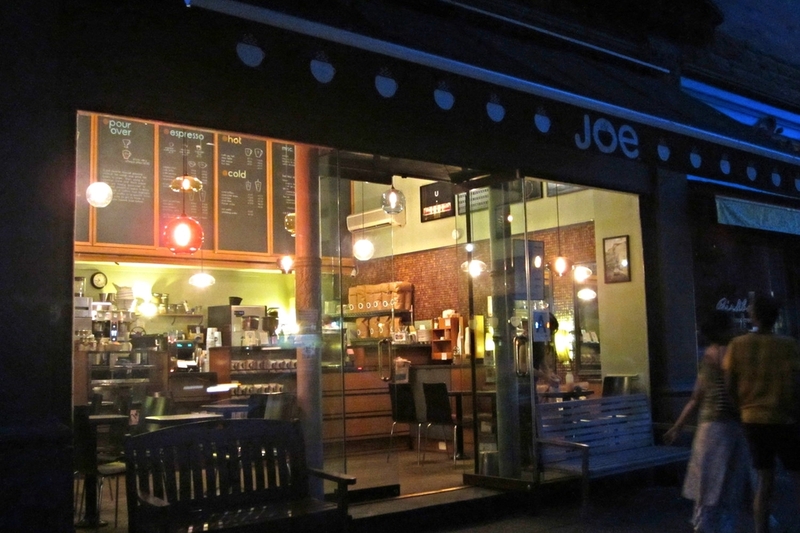 After fulfilling childhood yearnings for milkshakes, used books, colorful science, puddle splashing and paper art, we subsided to Joe’s Coffee. There is a Joe's Coffee up by Columbia, taller, noisier and painted white, and we'd tasted the coffee there before beginning the Coffee Project. Without a comparison and still clinging to adding sugar, we'd had no idea what we were tasting. But that evening, with drying shoes and tired limbs, we sat back and enjoyed a cup of quintessential, near-perfect espresso. Flavorful, darker than usual, and possessing the layered flavors that only a select few cups do possess, our drinks warmed us up and took us in. Surrounded by the hum of voices, soft music, and the creep of evening, we slowed down, let our shoulders relax, and talked about the day. Books came out, smiles came and went with the natural rhythm of creative thought, and the indelible comfort of the Upper West Side felt that much more like home.